Disclosure: Thank you Octer.com for sponsoring today's post. Any opinions expressed by me are honest and reflect my actual experience. Hiya guys. Today I am sharing a website I discovered recently for online shopping called Octer.com. As a proud polish addict I can admit that I love to shop, especially when there is a sale or a good deal. But that's not always super easy to come by when looking through mainstream brands. 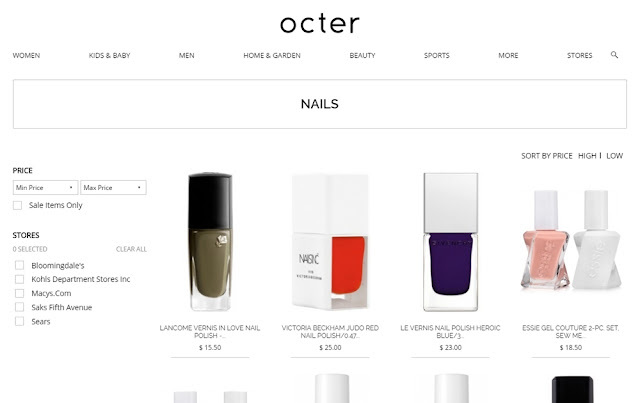 And here is where Octer comes in, using their website or mobile app you can browse their selection across multiple retailers and find exactly what you're looking for! So I'm just going to be showing you a little into the website and my shopping experience with them. As well as what I ended up picking out (which I think you guys will actually love). Let's go ahead and get started. Octer has a ton of shopping categories to choose from such as home decor, clothing for women, men, and children - it even sporting goods. And of course a make-up section with a sub-category for just nail polish! You can search for brands such as OPI, Orly, Nails Inc, and Essie just to name a few. I ended up being immediately drawn to the Essie Gel Couture line for three reasons. One: I haven't tried them out before. Two: those bottles look so unique. And Three: Uh... Hello? I'm a polish addict I was lucky I even had two reasons to justify this purchase haha. Octer then took me over to Kohls.com to add the polish to my bag and checkout. The whole checking out process is right thru whichever store you end up selecting. I actually shop regularly thru Kohls, so I had a login and all my payment information saved making this even easier. 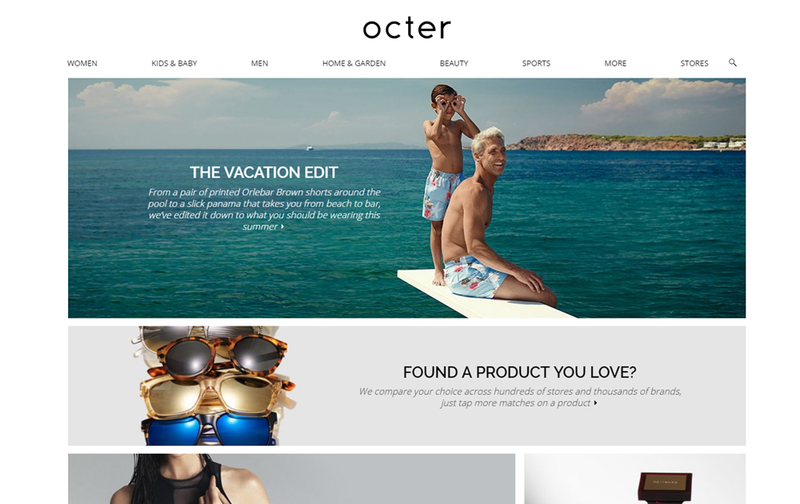 And that's the thing about using Octer, it will bring you websites you actually shop out of like for example Macy's or Saks Avenue. 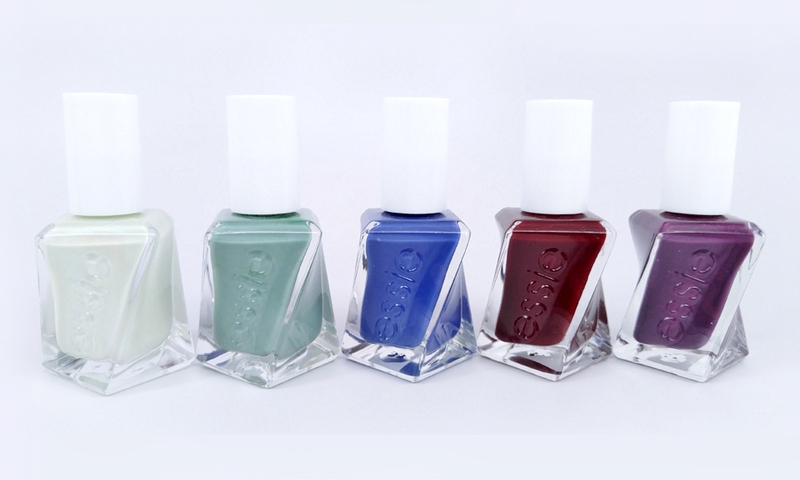 I ended up selecting five gorgeous shades from the Essie Gel Couture line (as you can see above). Let me know if you'd like me to swatch and review these for you guys! 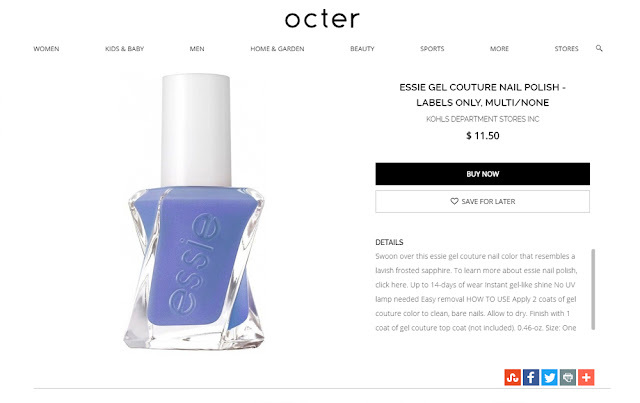 All in all I really enjoyed my experience using Octer.com, at least for nail polish purchasing. I ended up receiving my package within a week, which I think is excellent turn around (but again this is going through the store you're purchasing from not Octer themselves). It's definitely worth a try especially if you're like me and like to browse a lot before deciding on your purchases. Have any of you guys ever used Octer before? If so, how was your experience with the website? I'd love to hear you thoughts!